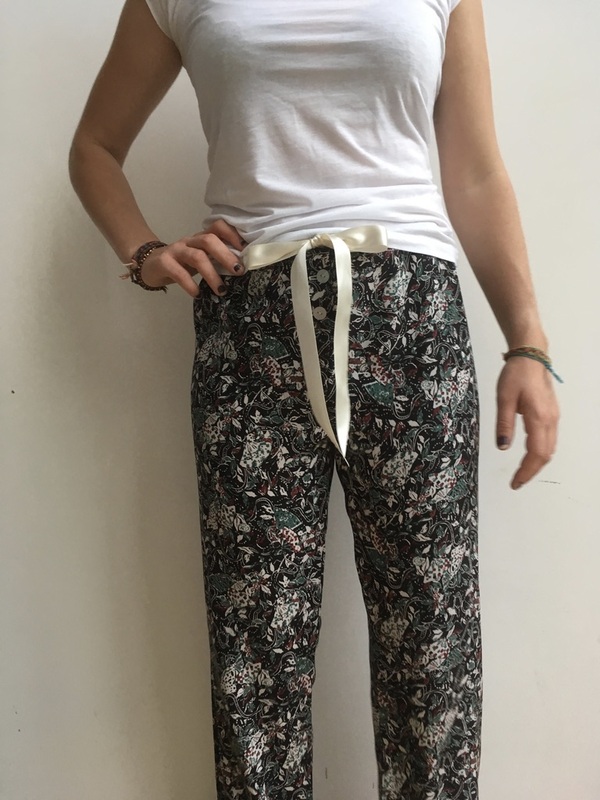 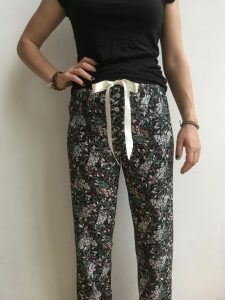 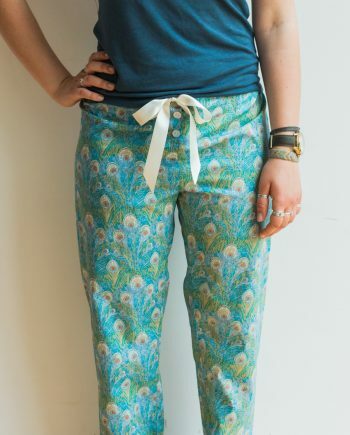 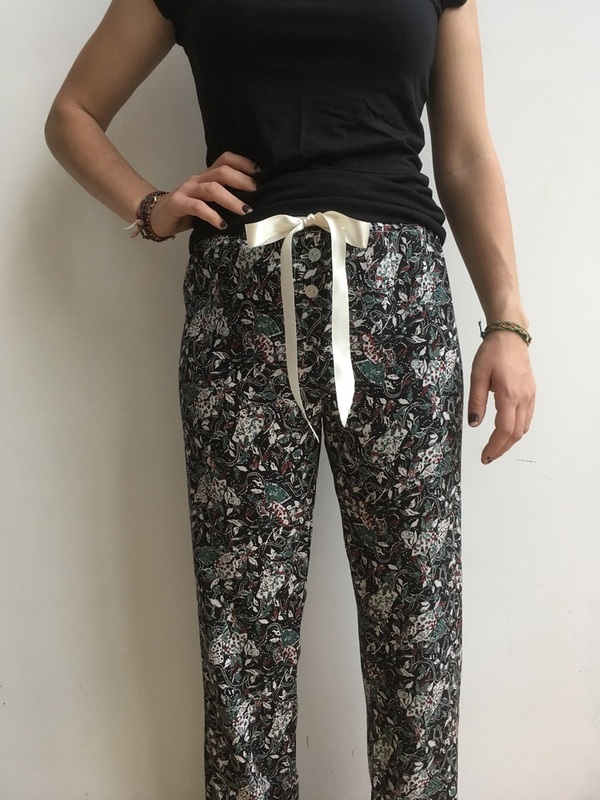 Pretty pair of pyjama bottoms/lounge pants made from a Liberty silk crepe print. 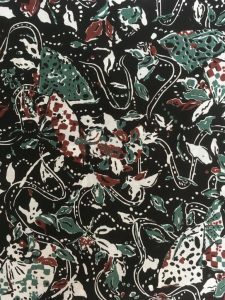 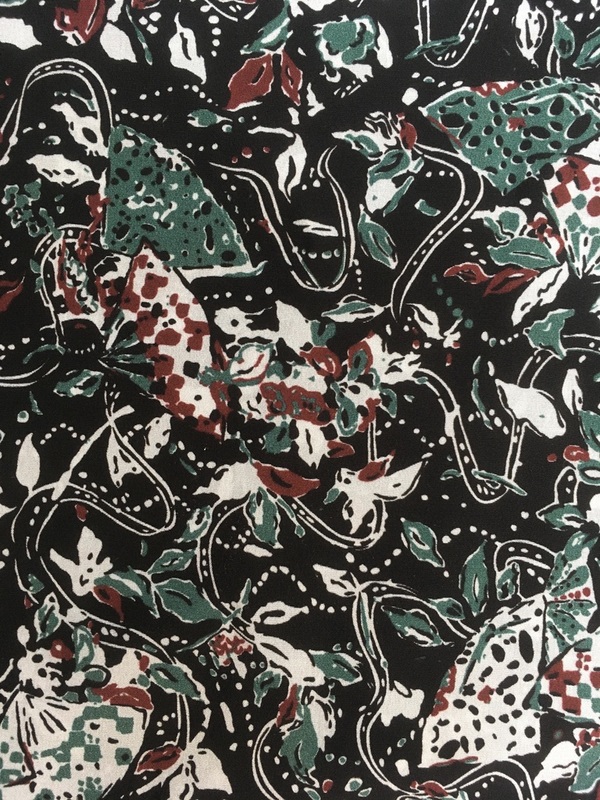 The design is black with white, green and auburn and features butterflies. 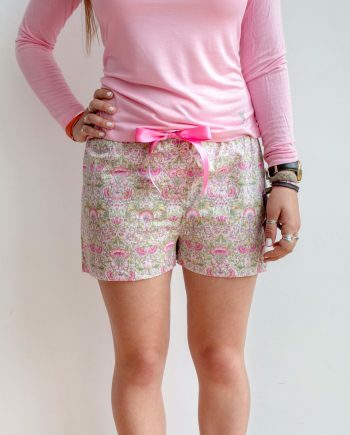 Matching cream satin ribbon and button fly.